It might be time to get those pecan waffles and cheesy eggs someplace else. Activists are targeting Waffle House after the company doubled down on its defense of Saraland, Ala., staffers who called the police on a black woman. The violent arrest, during which three police officers forced 25-year-old Chikesia Clemons to the floor and exposed her breasts in the process of arresting her, was filmed by Clemons’ friend and went viral. The April 22 incident happened the same day a white man opened fire on a Waffle House restaurant outside Nashville, Tenn., killing four people. Activists, including members of March for Our Lives, the Georgia Alliance for Social Justice and the NAACP, protested at the chain restaurant’s Atlanta headquarters on Monday, demanding that the charges against Clemons be dropped, HuffPost reports. Clemons was charged with disorderly conduct and resisting arrest. They’re also demanding that Waffle House release video of the arrest, provide a statement reprimanding the mistreatment of Clemons and take “disciplinary action” against the Waffle House employees involved in the arrest. But Waffle House spokesman Pat Warner insists that the company’s investigation found that Clemons had made “several threats ... including threats of violence” to restaurant workers, justifying a call to the police. Activists have called for a nationwide boycott of the chain restaurant to begin on Friday if their requests are not met. The call for a boycott comes as the service industry—and, in particular, large chains—are facing increased scrutiny for their treatment of black customers. Unfortunately for the Waffle House, yet another incident of possible racial prejudice has come to light. 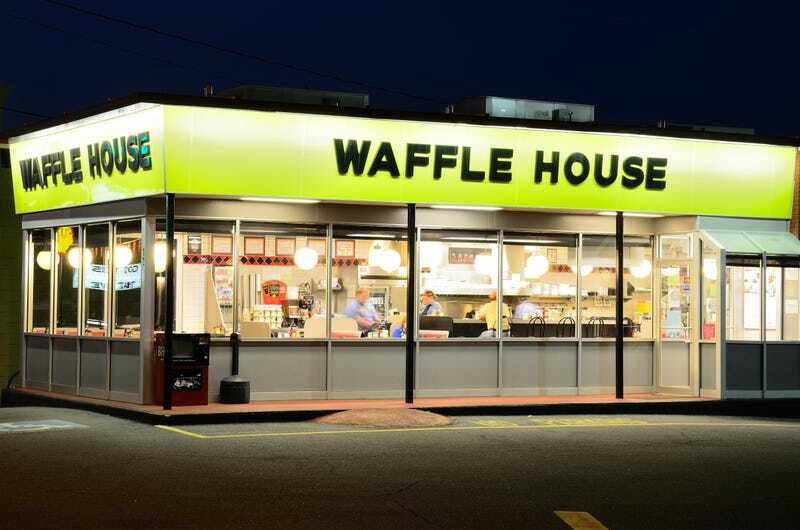 Last week, another Alabama Waffle House made headlines after reportedly denying entry to a black woman. As Newsweek reports, Jacinda Mitchell attempted to enter a Pinson, Ala., Waffle House but found the doors to the 24-hour restaurant locked. At the end of the video, a white man can be seen approaching the glass door and pointing at Mitchell. What he’s telling her isn’t clear. Waffle House spokesman Warner told AL.com that the company is investigating Mitchell’s claims.